After a particularly long winter in Germany, A and I flew to Puerto Rico earlier this spring, to embark on our first ever cruise. 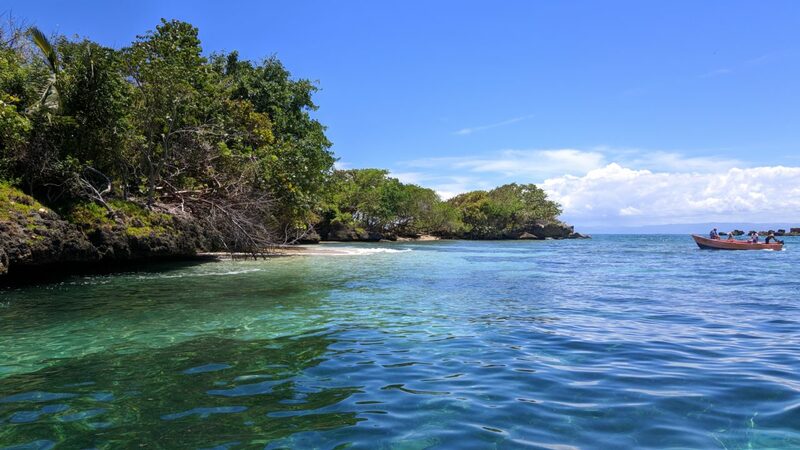 We spent seven amazing days aboard Silversea’s luxurious “Silver Wind” cruise ship and visited some of the most beatiful islands that the Carribean has to offer. 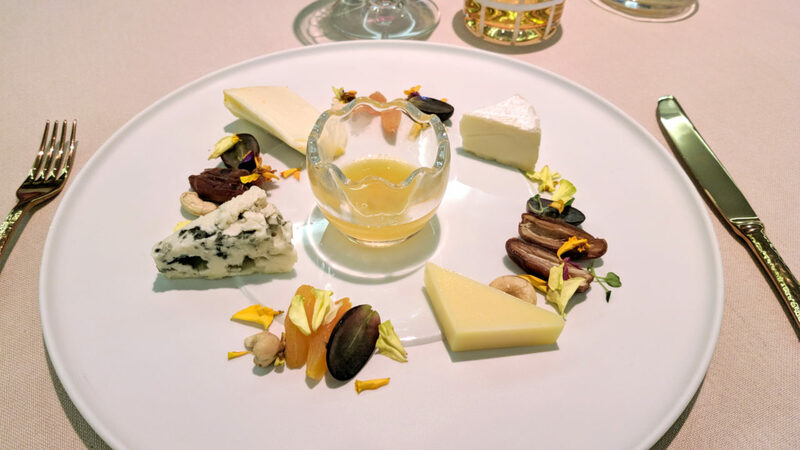 Read along to find out more about our luxury cruise experience and why we became cruise converts during this trip. 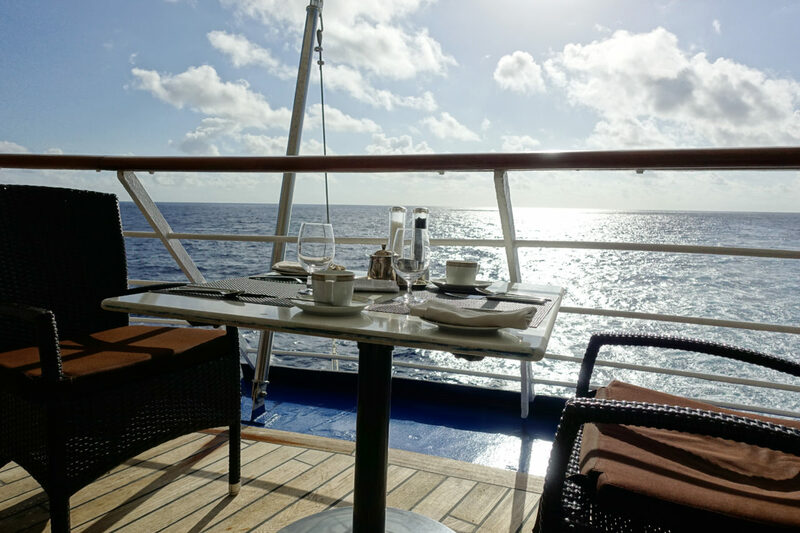 Before our trip with Silversea, I had been highly sceptical when it came to going on a cruise. Too big, too many all-inclusive guests, too old, too formal – these were just some of the ideas that came into my mind when thinking about a cruise. I thought it just wasn’t for me – at least not before getting a little older (and by that I mean much older). Nevertheless the concept of exploring the Carribean by ship and hopping from one beautiful island to another always seemed appealing to me. 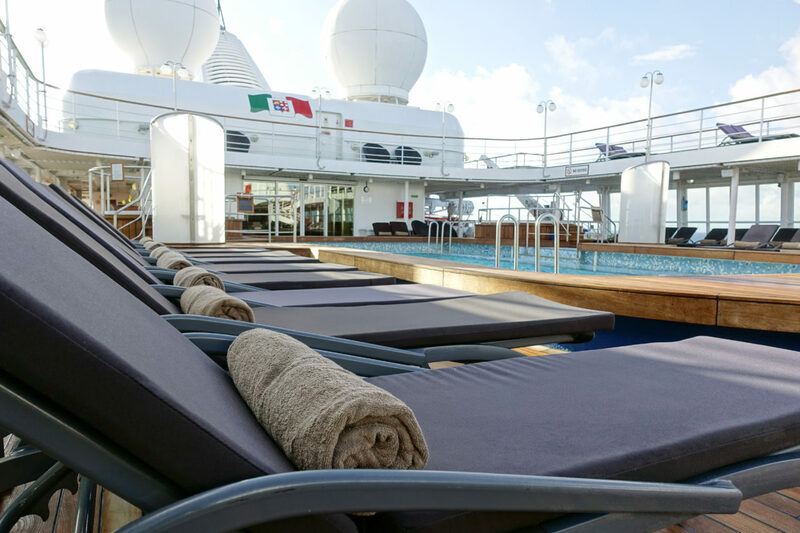 As A and I both heard how great and different Silversea was in comparison to other cruise brands we decided to give it shot and booked our first cruise aboard of the Silver Wind – one of the company’s smaller cruise liners. We started our trip from San Juan in Puerto Rico and while getting on board of the ship I started to understand, why the Silver Wind was anything but an average cruise ship. 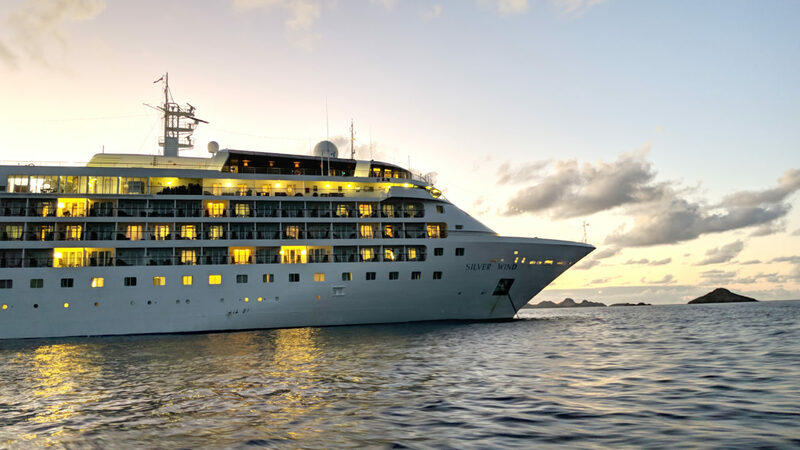 With space for only 296 guests, the Silversea is super small in comparison to other ships (an average cruise ship offers space for 3000 to 5000 guests), which made the check-in procedure easy and quick. After just a few minutes, we were all set and invited to our Veranda Suite located on the 7th floor of the ship. The Silver Wind is an all-suites cruise ship. 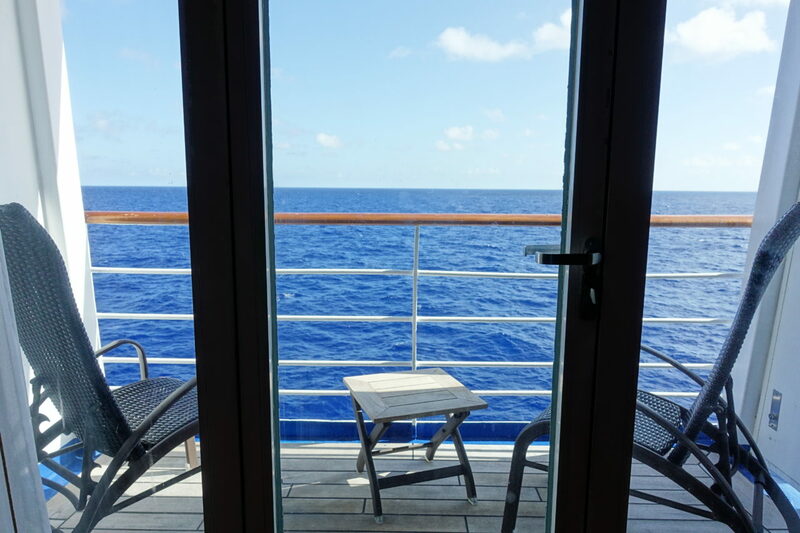 We opted for a veranda suite, as having a private balcony while on sea seemed important to us. Taking into consideration that being on a ship means space is way more limited than at shore, our room was spacious. 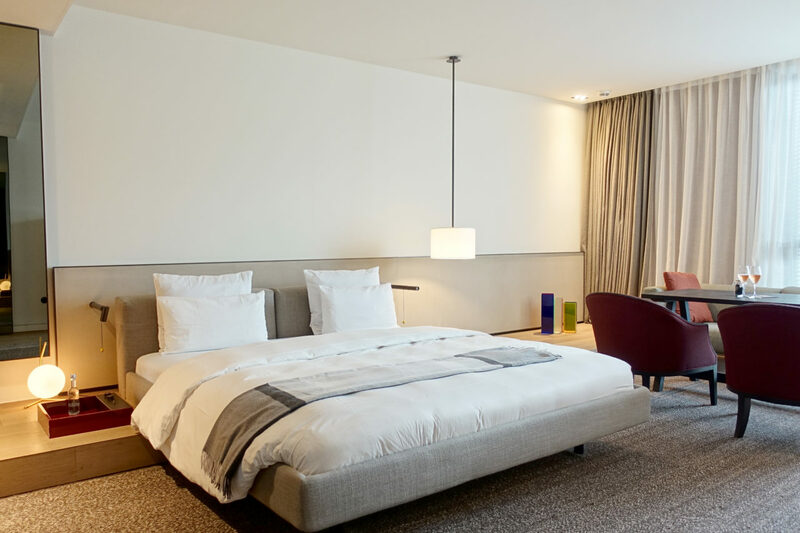 It offers space for a king size bed as well as a desk, many shelves and a small couch area. I liked the walk-in-closet as it made the room itself less cluttered. The bathroom wasn’t the newest one and rather small, but I didn’t mind as – again – we were on a ship after all. It features a shower/bathtub combination and just one sink with limited space to put your amenities. I liked the fact that we could choose from three different amenity brands upon arriving at our suite. I went for Bulgari as they always remind me of the Al Maha Desert Resort and Spa, one of my all time favourite resorts worldwide. Personalized service makes the difference in hospitality. The best thing about the room (besides the lovely teak veranda of course) – is the service level attached to it. 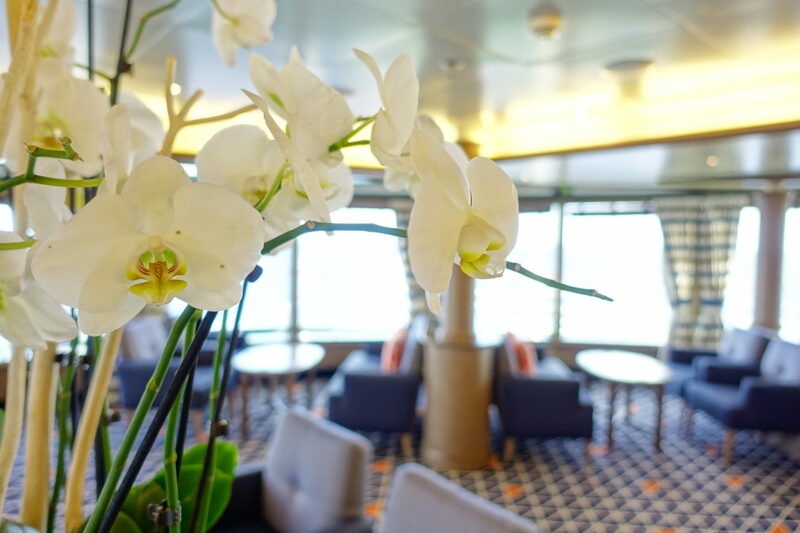 Every room has a dedicated butler whom you can ask for anything at every time, which makes your cruise experience much easier and very personal. He was for example stocking our minibar fridge with our favourite drinks and took care of the laundry, reservations and more. The Silver Wind was a hybrid between cruise ship and private yacht. You get to enjoy all the benefits of a small ship plus those of a properly equipped cruise liner. After unpacking A and I immediatly started exploring, only to find some real highlights. 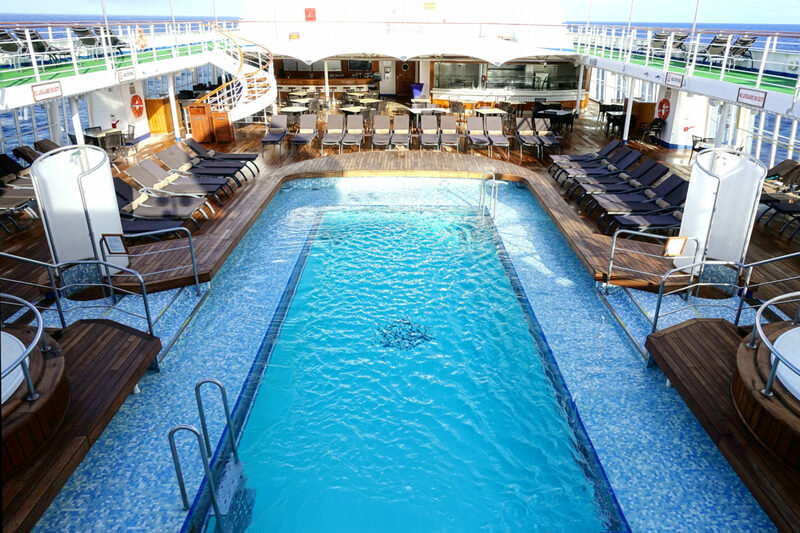 Let me start with one of the most important parts of the ship, considering it was about 30 degrees and we toured the Carribean: The pool deck! Again, other than my prejudices it was lovely. Feeling rather intimate, the all-teak area featured a laidback pool bar and grill as well as comfortable loungers, a well temperatured pool and two jacuzzis. I really enjoyed laying by the pool, watching the ocean and the waves and sipping a delicious Pina Colada. The area never really felt crowded, expcept during the one day we spent at sea – which is completly normal as all guests where on ship at the same time. But even during a full day at sea is was no problem to find two sunbeds. 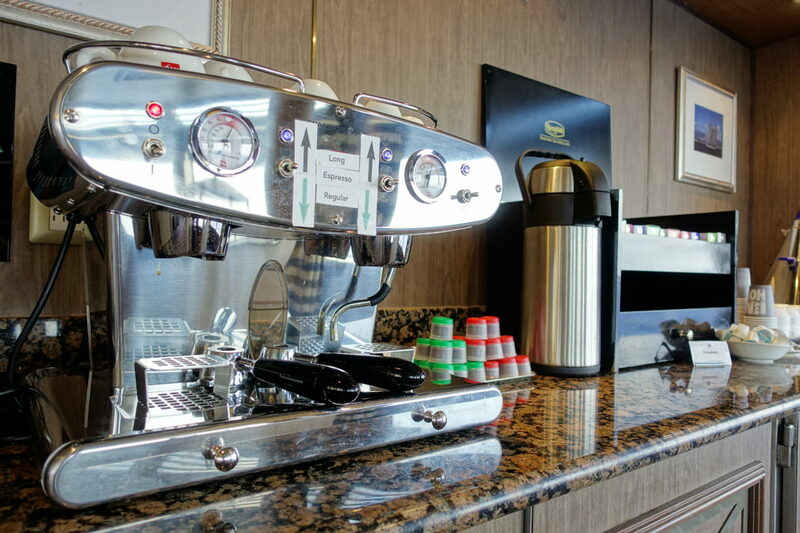 Apart from the pool area, the Silver Wind offers many other areas to indulge in while on sea. 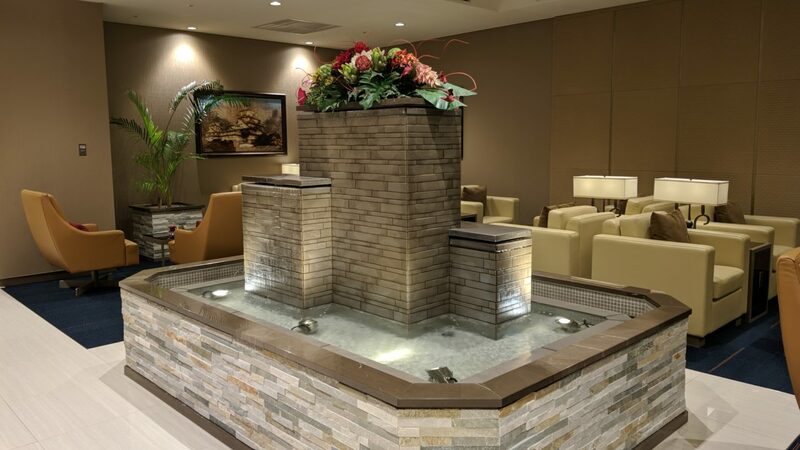 Although we didn’t have the chance to book an appointment during our cruise the Spa looked lovely and I would definitely recommend to book a treatment there as I’ve heard very nice things about it. It is located in a recently renovated part at the uppermost deck. The ship also offers a gym as well as daily classes such as stretching, pilates or yoga – so it is really easy to stay active during your cruise. 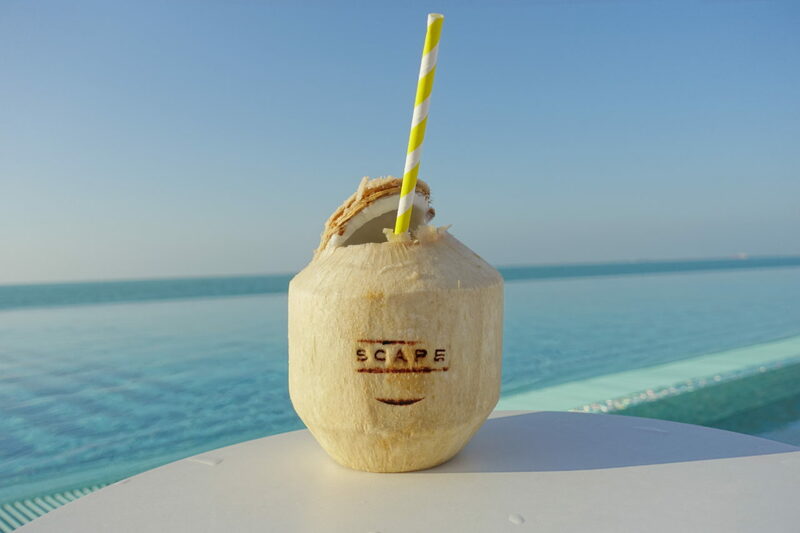 Should you not be into sport and wellness, there is also a daily entertainment schedule with lovely staff members at your disposal – from lectures to special boutique sales, casino nights or shows in the theatre – I promise you will not get bored while on sea. What I liked about the cruise is, that it offered all of these entertainment options while keeping a very intimate mood. The crew quickly felt like one big familiy and seemed to really enjoy working for Silversea – something which I always appreciate when travelling. Service really does make the difference. Silversea Cruises are always all-inclusive. Usually this term scares me as I attach it to low-quality food and cheap drinks. But this was not the case for Silversea, as quality of both, food and drinks was high-end. Let me start with our dining experience first: Silversea offeres four restaurants, which (of course) we all tried during our cruise. The main dining option is The Restaurant, offering a la Carte breakfast, lunch and dinner. While the breakfast experience was rather underwhelming, Dinner was fantastic. 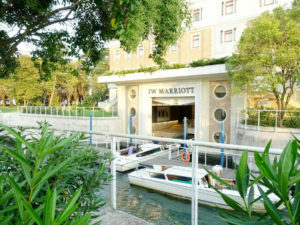 It is served in a very grand and spacious area at the back part of the ship, with windows to the sea and amazing staff. The menu changes every night, offering a wide range of delicious meat and fish dishes, as well as pasta and some all-time classics like gourmet burgers. The ingredients are fresh and all dishes I’ve sampled tasted delicious and were presented in a lovely, very appealing way. Additionally to the main restaurant there is also “La Terraza”, an italian restaurant offering a delicious buffet breakfast, buffet lunch and a la Carte dinner. 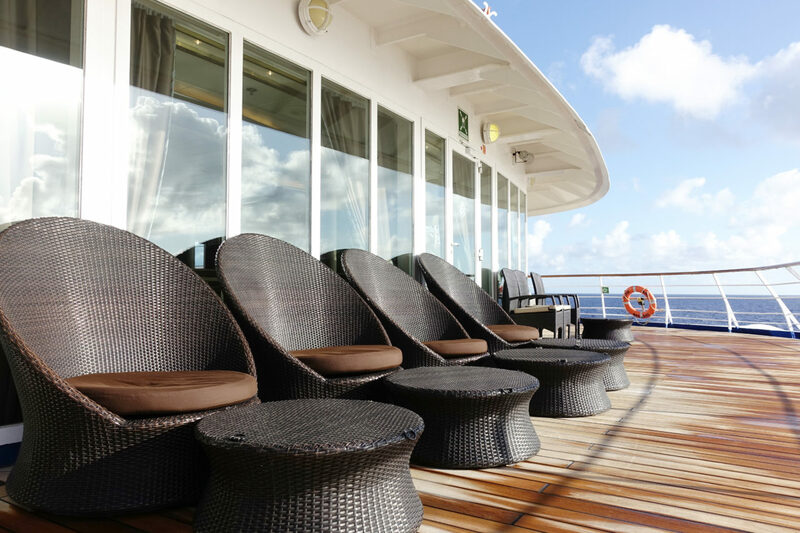 It also comes with a nice outdoor terrace which obviously is a big bonus while cruising the Carribean. La Terraza also offers a buffet breakfast which I can highly recommend. The spread leaves nothing to your imagination and several items are made-to-order such as eggs, waffles and more. Also for lunch, La Terraza is offering a delicate buffet option with fresh sushi, fishes, salads and more to keep you happy – all of decent quality, considering you are in the middle of the ocean. The pool bar and grill (called The Grill) offeres light lunch options and casual BBQ for dinner. All tables are outside and the vive is very laidback with no dresscode attached which can be a nice change if taking a longer cruise. I’ve heard good things about the dinner here – fantastic meat grilled on stone at your table so it was a real pitty that we couldn’t get a table during our five days aboard. However, we had lunch several times which was solid though not overwhelming. 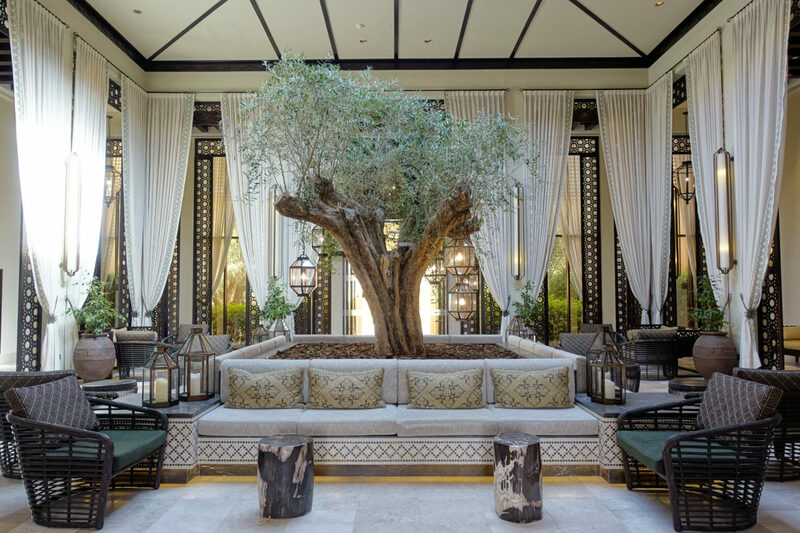 Last but not least there is “La Dame”, a gourmet restaurant by Relais & Chateaux which offeres high-end french cuisine and has very limited availability each night. 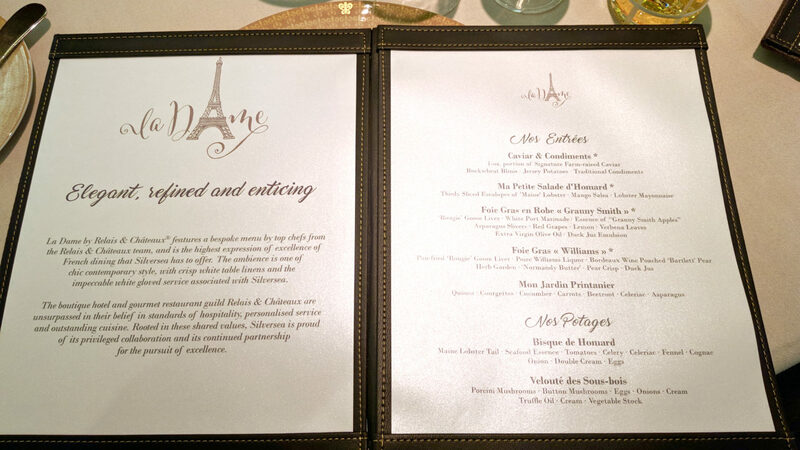 After some hussle we were lucky enough to get a table and enjoyed a fantastic french cuisine dinner there. Both, taste as well as presentation were as fabulous as the extensive wine list. I highly recommend to try the La Dame if you are on a Silversea, even though it comes with an extra cost to your all-inclusive rate. It was by far the best dinner we had during our time aboard. All in all Silver Wind is a heaven for foodies. Which brings me to the bar and drink options. 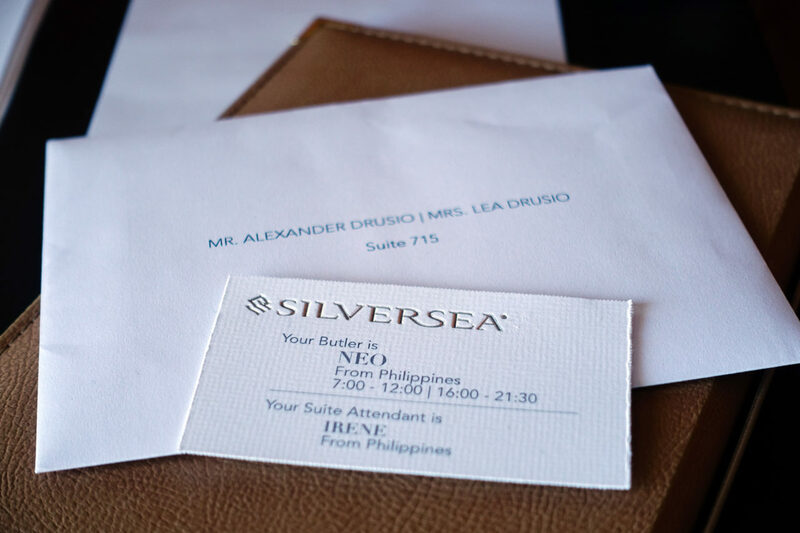 Apart from great wine during meals, Silversea offers a best-in-class open-bar concept which really impressed me. From countless cocktail options to free-flow Champaign – there was everything we whished for and more. 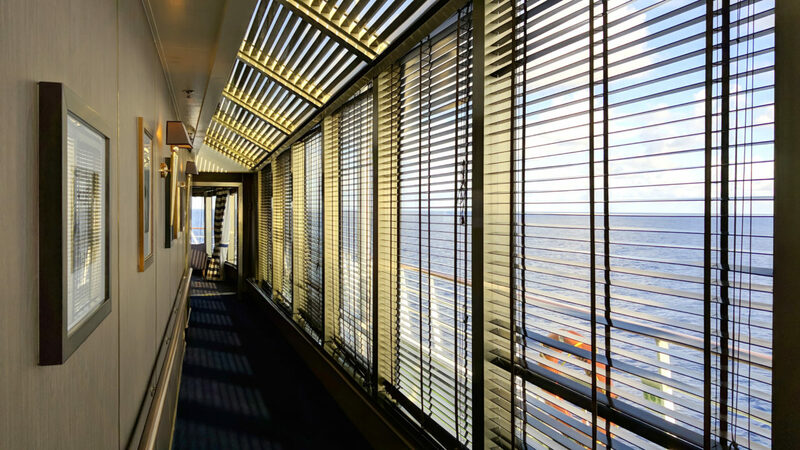 The Silver Wind offers three bars, The Pool Bar at The Grill, The Bar and The Panorama Lounge at the rear part of the ship. 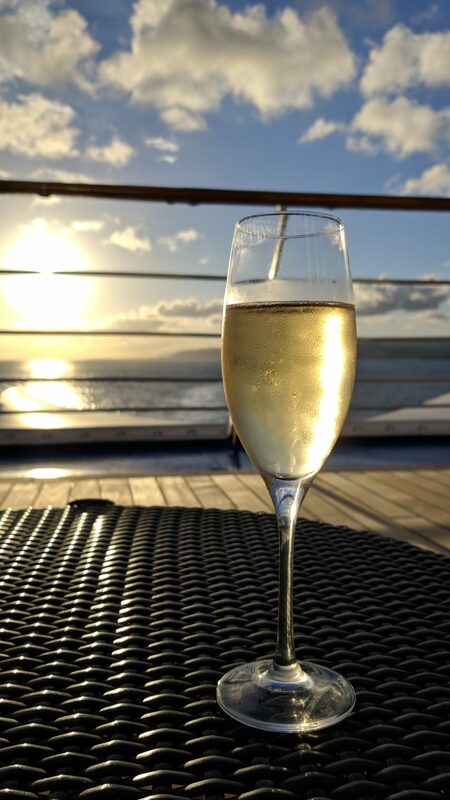 The latter was my absolute favourite and I loved to toast goodbye to an island with a chilled glass of bubbly while leaving port for our next adventure. Never crowded, accompained by nice piano live music and lovely bar food it was the perfect spot for sundowners before dinner. Again, the crew was fantastic and served not only our favourite drinks (they knew by now!) but also a great selection of canapes and light snacks to go along with our drinks. This was my favourite place to lounge and sip a drink in the back part of the Silver Wind – you felt like on your own private yacht. Should the many restaurant and bar options still not be enough for you, Silversea offers a complimentary 24hrs room service with the option to order any meal, snacks or drinks to your suite with no additional cost. We simply needed to call our butler to enjoy drinks on the veranda or dessert in bed – I loved it! Of course Silver Wind itself was not the only purpose for our trip, as we were eager to explore as many Carribean islands as possible during our cruise. 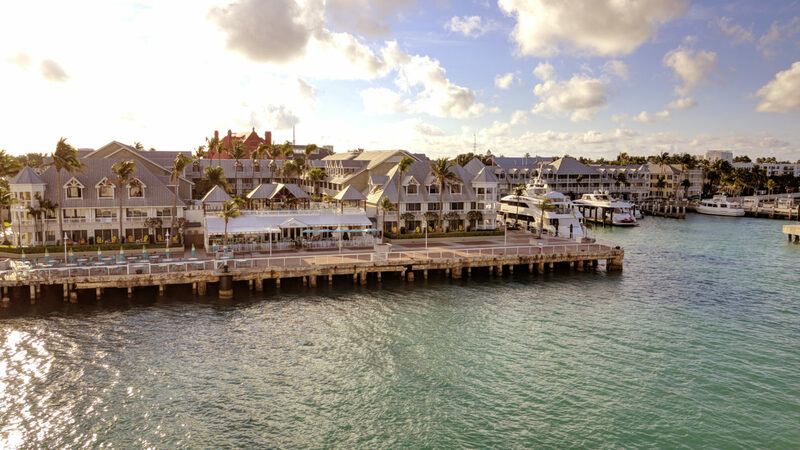 Apart from San Juan, our route included stops in St. Barth, Tortola, Samana, Grand Turk and Key West before heading back to the US and disembarking the ship in Fort Lauderdale. I loved to wake up every morning entering a new port, ready to explore a new island. Our cruise with Silversea included many complimentary tour options. It was nice to have some guidance and we leveraged some of the tours, although we mostly explored the islands by ourselvess as we usually prefer to be a little more independent. 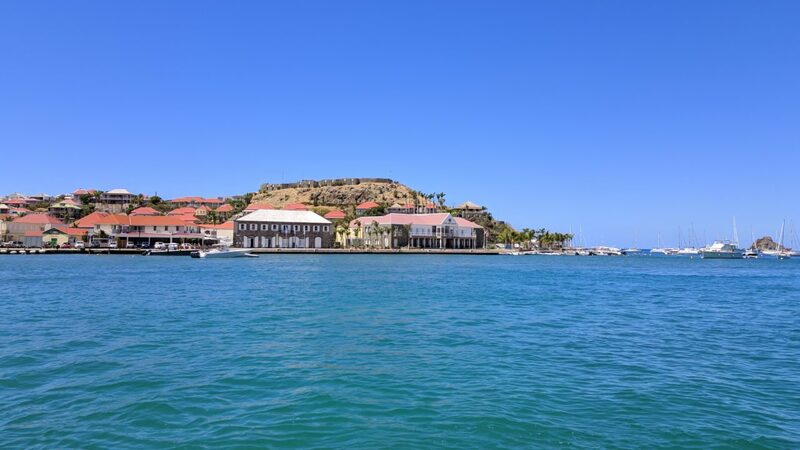 A big plus of the Silver Wind being a rather small cruise ship was, that we could visit some more secluded island with no real cruise ports such as St. Barths, were we were brought to shore by tender boats. I liked the fact we never had to cue while disembarking or entering the cruise ship – again one of the many perks of travelling on a rather small ship. All in all I really enjoyed this new way of travelling and loved the fact that we saw so many new places in such a short period of time. The comfort of your own private veranda suite waiting for you on return is a real treat. Different to our usual road trips we’d never have to pack or unpack anything due to hotel-changes and instead could just enjoy our trip. Well, what can I say? 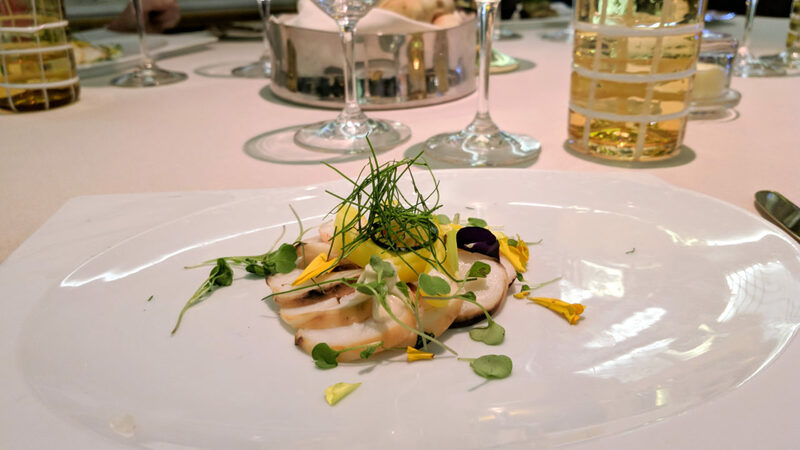 I was completely surprised by our first cruise experience and loved our trip with Silversea. 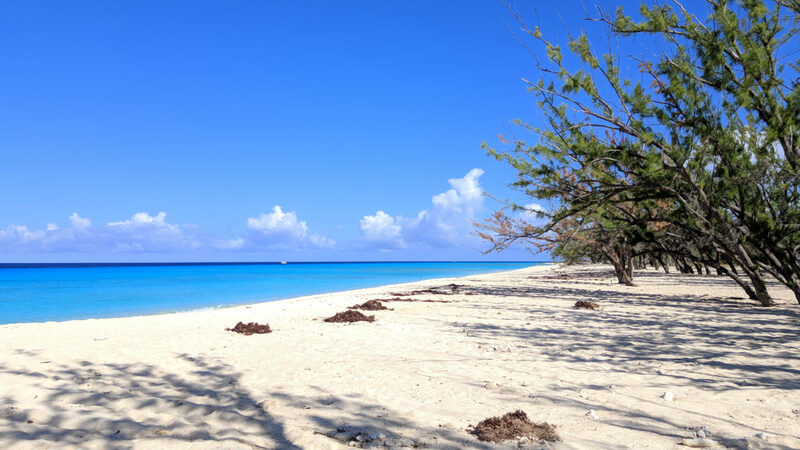 Although I still wouldn’t opt for a cruise for longer vacations or city trips, it offers the perfect concept to explore the different Carribean islands. I especially enjoyed the high service level and intimate vibe of the Silver Wind as well as the amazing food and drink concept. I would definitely consider another trip with Silversea, especially when wanting to do island hopping like for the Greek islands. 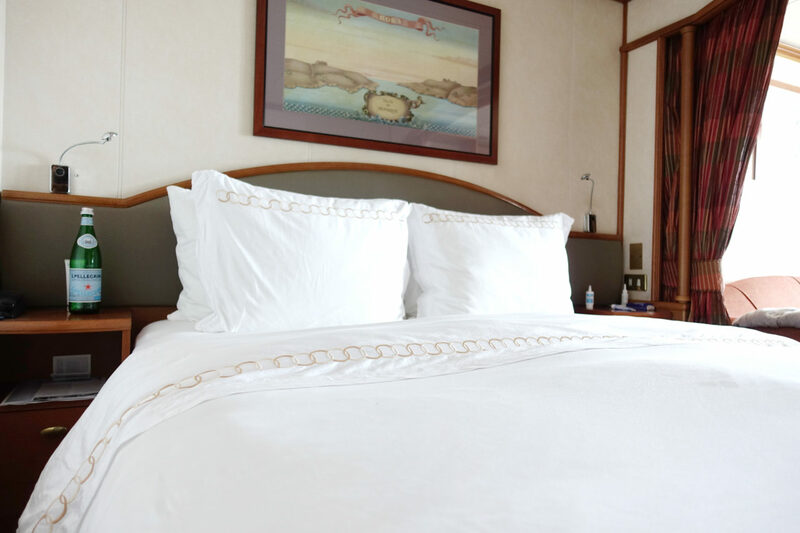 Even though it comes with a serious price tag I can recommend Silversea – especially for anyone who is as cruise-sceptical as I was before our trip. At the end you clearly “get what you pay for”. Want to know more about our flight experience during this trip and what we did after desembarking the ship? 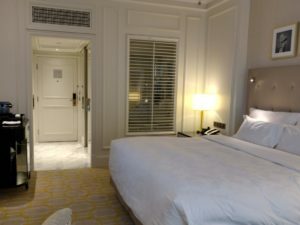 Have a look at my reviews of Lufthansa business class and our stay at the W Fort Lauderdale.